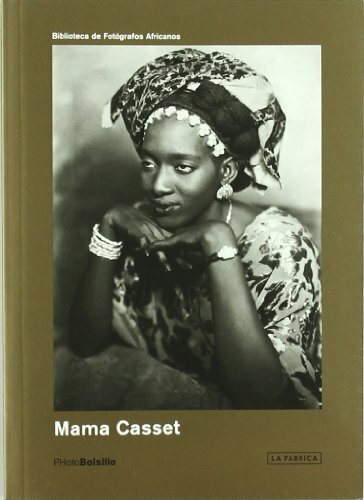 The great Senegalese photographer Mama Casset (1908-1992) was introduced to photography at the tender age of 12 by the French photographer Oscar Latakia, a friend of his father's who tutored Casset in the fundamentals of the art. Casset learned quickly, and by 1943 he had opened his first studio in Dakar, obtaining plenty of portraiture work, primarily among the capital's bourgeoisie. As the European-operated photography studios began to close as Senegalese independence approached, Casset's popularity and success benefited from the dwindling of the competition, enabling him to open a second studio in M'Bour, south of Dakar. When independence at last arrived for the country, Casset received the prestigious commission to make the official portrait of the first president of Senegal, Leopold Sedar Senghor. Over the subsequent years, Casset was to grow blind and was sadly forced to abandon his lucrative business in 1983, when a fire destroyed his studio and much ofits archives. By that time, however, Casset's legacy was assured, and his work had inspired several generations of West African photographers, who had grown up with his photographs in their family albums. This volume selects the highlights of his career.